We are excited to offer this 2017 Chevrolet Equinox. Your buying risks are reduced thanks to a CARFAX BuyBack Guarantee. This Chevrolet Equinox LS defines excellence in an SUV. It has the convenience of limitless boundaries paired with city sophistication. 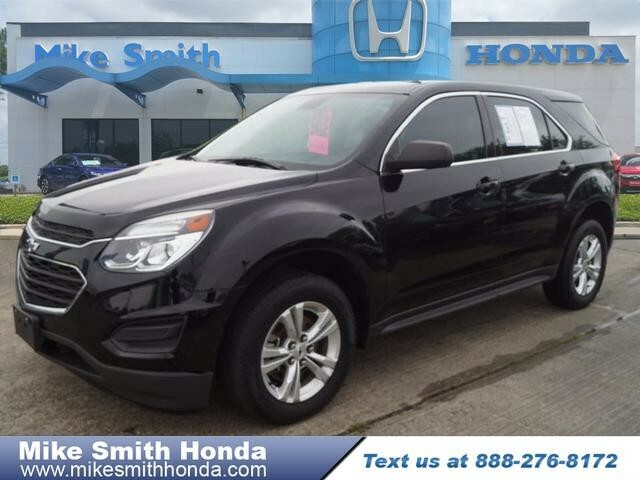 Save money at the pump with this fuel-sipping Chevrolet Equinox. The Equinox LS is well maintained and has just 21,932mi. This low amount of miles makes this vehicle incomparable to the competition. More information about the 2017 Chevrolet Equinox: Starting at under $25,000, the 2017 Chevy Equinox is one of the most affordable crossover vehicles in its class, rivaling Honda's CR-V and the Toyota RAV4. The interior features a dual-cockpit design, ice-blue ambient lighting and sophisticated, classy appearance touches that makes it look much more expensive than it is. With available V6 power under the hood, the Equinox makes an attractive family and cargo hauler. Interesting features of this model are Powerful and efficient engine selection and sharp styling inside and out We look forward to seeing you soon! Please call us for more information.